Segnant Technologies is excited to announce the launch of Rebel Highway’s website. Rebel Highway is an online store for the motorcyclist enthusiast. Rebel Highway offers everything from attire to wear while biking to motorcycle decals. 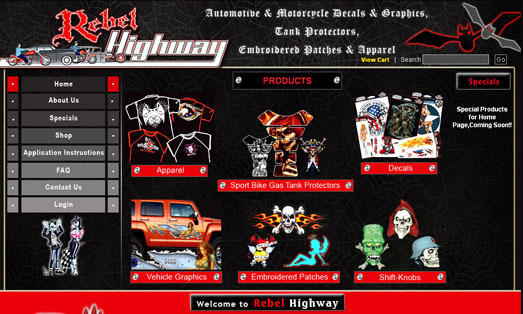 Check our Rebelhighway.com for your motorcycle gear!